It has not been an especially great week for Netflix or its polarizing monster flick Bird Box, which has spawned one of the most idiotic so-called “challenges” to surface in this cursed timeline we’re trapped in. In yet another public relations headache for the company, Netflix is now looking into whether actual footage of a deadly 2013 event in Canada appeared in Bird Box after it was discovered in at least one other production. 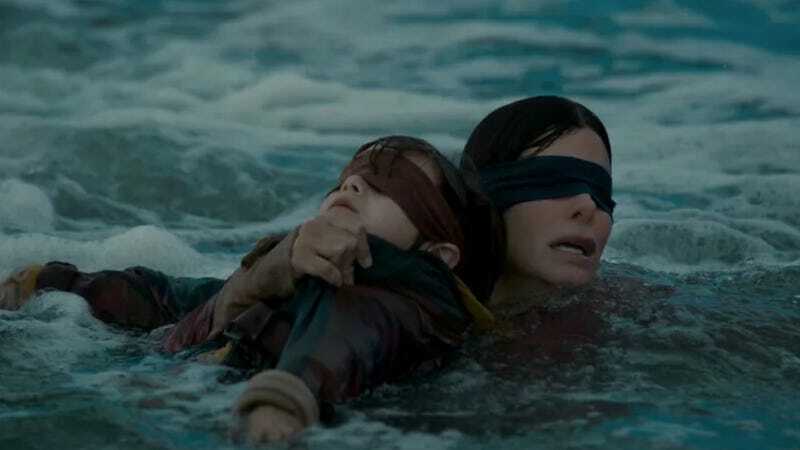 Bird Box has created some unique hassles for Netflix in recent weeks, not the least of which include the extremely moronic “Bird Box challenge,” which involves wearing blindfolds while wandering around and (in particularly unfortunate cases) operating a vehicle. The challenge recently prompted YouTuber Jake Paul to idiotically dash through traffic with his own eyes covered, a stunt he (of course) later uploaded to the platform. (At least YouTube seems to have pulled the cord on that mess.) Netflix has since asked that people please not do this. “Pond5 is a global content marketplace with over 14 million video clips, including fictional scenes as well as news coverage and archival footage. Some of the content we offer includes footage of historical tragedies, military conflicts, weather events, and natural disasters that may depict sensitive events. We believe that by offering this type of content, we enable these stories to be brought to light with the hope that history will not repeat itself. “Pond5 maintains the highest standards and employs multiple measures to guide customers to the appropriate usage of our footage. This includes AI-based technology and a team of professionals that reviews every asset for sensitivity, recognizable people, or third party intellectual property. We clearly tag and label all content on the site, and provide account managers and customer support for additional guidance. We license millions of clips every year, and it’s very rare that something like this occurs. Update 1/17 5:15 p.m. ET: Netflix said it will not remove the footage from its film Bird Box, the Verge reportedly confirmed with the company.